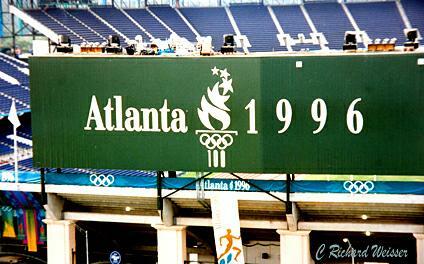 It was on this day in 1996 that the opening ceremonies took place for the 26th Summer Olympic Games. The games took place in Atlanta, Georgia and marked the 100th anniversary of the Summer Olympics. The Olympic torch was lit by Muhammad Ali in a very emotional moment. Ali was also given a replacement gold medal for his boxing victory at the 1960 Summer Olympics. Ali had supposedly thrown his previous gold medal into the Ohio River after being refused entry into a restaurant. The United States would dominate the medal count, winning 44 gold medals (Russia was second with 26) and 101 total medals, beating second place Germany who finished with 65. However, it was the Canadians who stole the show in the two biggest events of the Olympics. The men’s 100-meter race, which is widely considered the main event at any Summer Olympics, was won by Donovan Bailey in a world record time of 9.84 seconds. Bailey would also lead Canada to gold in the men’s 4 x 100 meter relay. Here is a clip of the Opening Ceremonies.